The Berlin Museum of Medical History at the Charité is a worldwide known and respected institution. Around 90.000 visitors are currently counted in its exhibitions per year. Among its guests from all over the earth there are people with cultural and scientific interests, tourists and pupils, as well as students, journalists and trainees from all medical professions. With its permanent presentation and the programme of special (temporary) exhibitions the museum has reached a strong presence and resonance in the media. In relation to size and duration of the respective exhibition, there are up to 350 reviews on single shows in the media. In addition, there are numerous reports on issues that are covered by the museum on radio and TV—regionally, nationally and internationally. All together, the museum reaches more than 20 million people regularly with each major exhibition. Despite its reputation the museum relies existentially on external support. Preparing and realizing new exhibitions, as well as the maintenance of the museum’s building and the preservation of its collections comprising of some 15.000 unique historical objects cost money. 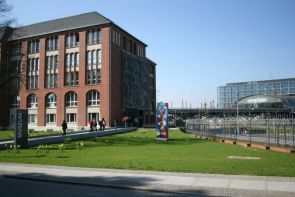 The Berlin Museum of Medical History at the Charité is an integral body of the Charité – Universitätsmedizin Berlin. We would be very happy, if you could support our museum. We would be glad to provide you with further information. In case of donations higher than 100 €, you will receive a donation certificate automatically.